I welcome the decision by North Down Borough Council to seek funding to upgrade the final sections of the North Down Coastal Path. Last Tuesday Council agreed to seek funding from NI Environment Agency and Sustrans to allow walkers and cyclists to travel from Holywood to Bangor along a wider high quality path capable of accomodating bicycles and pedestrians alike. As a local Councillor and Sustrans Ranger I warmly welcome the decision to seek funding to upgrade the remaining parts of the Coastal Path including the funding bid to tackle the tricky steps at Seahill which make it very difficult for cyclists to peddle from Holywood to Bangor. Cycling offers a quick, cheap and environmentally friendly way to get from A to B and increasingly popular with more and more people asking why they can't safely travel between Bangor and Belfast avoiding the busy A2 road. 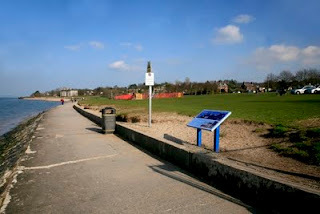 If the funding applications are successful and Council agrees to provide the necessary match funding Groomsport, Bangor and Holywood will be linked to the National Cycle Network which includes Towns and Cities such as Belfast, Newry, Lisburn and beyond. The decision to seek funding is a positive development in advance of Bike Week which runs from 18 to 26 June 2011 and will feature a wide range of events in North Down and beyond. In light of the clear socio economic and health benefits associated with cycling I hope funders will favourably consider these bids and allow us to release the brakes, put the wheels in motion and create a more attractive and healthier Bicycle friendly Borough.